Yesterday I released my newest pattern - the Finch dress! 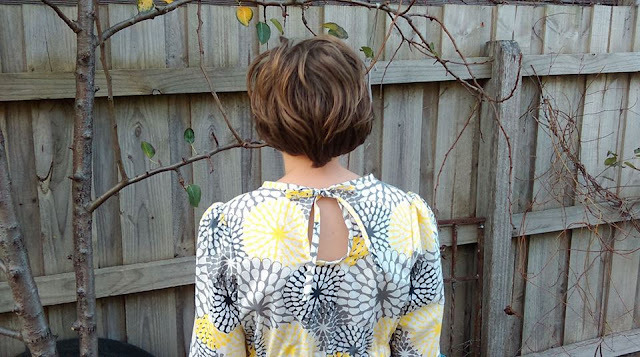 You can purchase the pattern here. 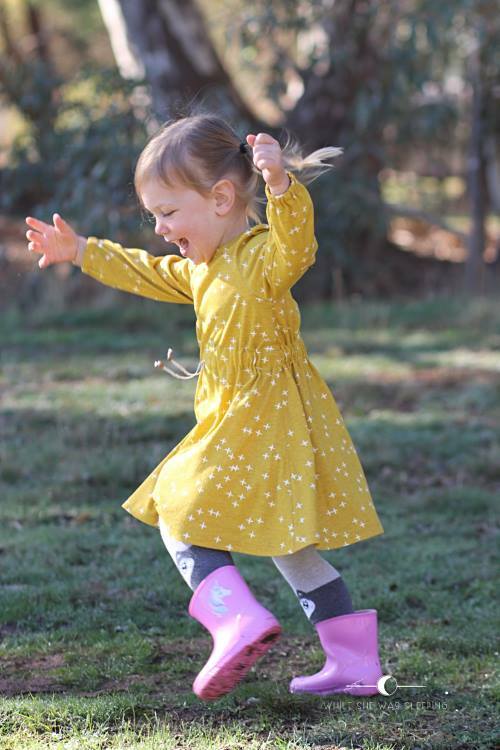 Until tomorrow (9pm AEST Friday 15th) you can receive 15% discount with code: FINCH15. 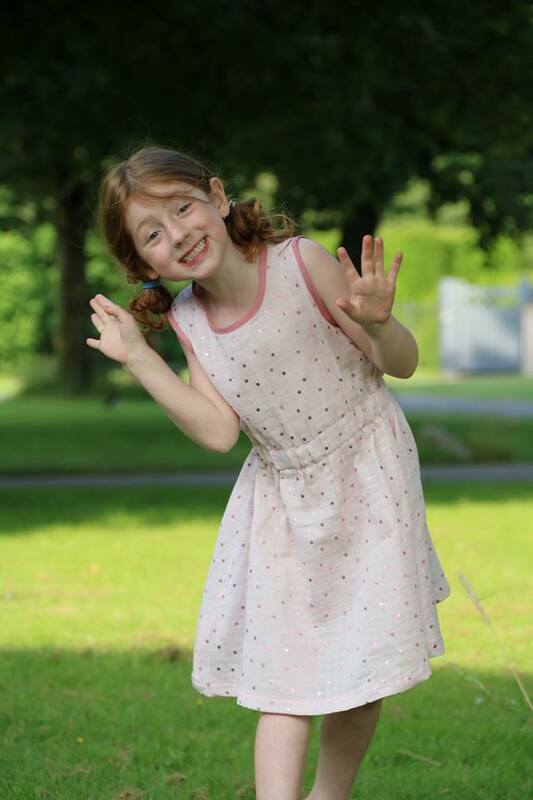 Today I am sharing some of the photos from my twenty lovely testers! 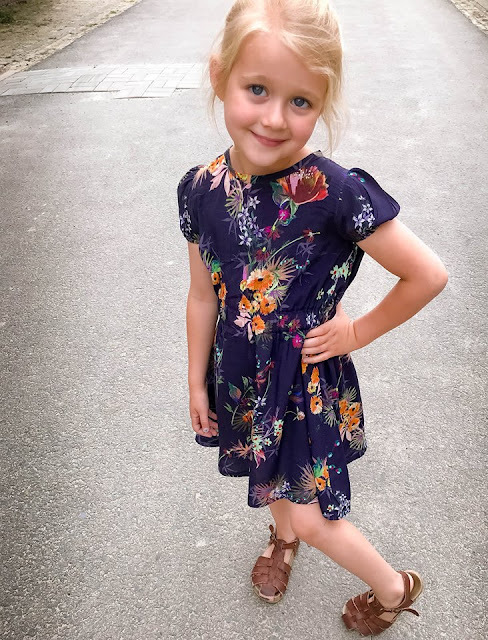 They all made such beautiful dresses! Thank you Atia, Barbara, Beth, Bridget, Britt, Claudia, Deborah, Evelien, Fanny, Jenya, Kate, Lucy, Maria, Marie-Paule, Marjolein, Noortje, Rineke, Sofie, Tessa and Thao did a wonderful job! In no particular order, here are their Finch dresses! 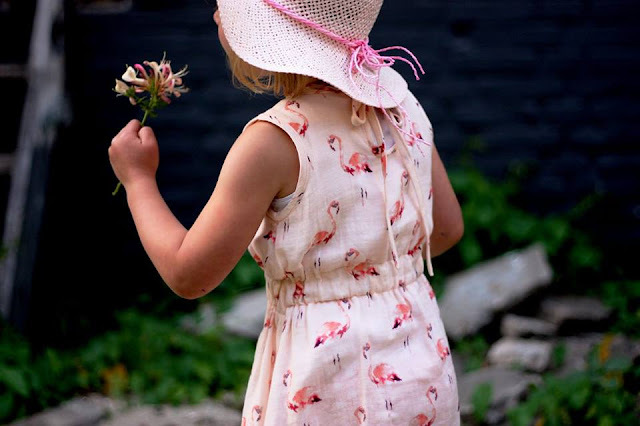 Photo above: Beautiful flamingo Finch dress by Rineke from @plus2is5. 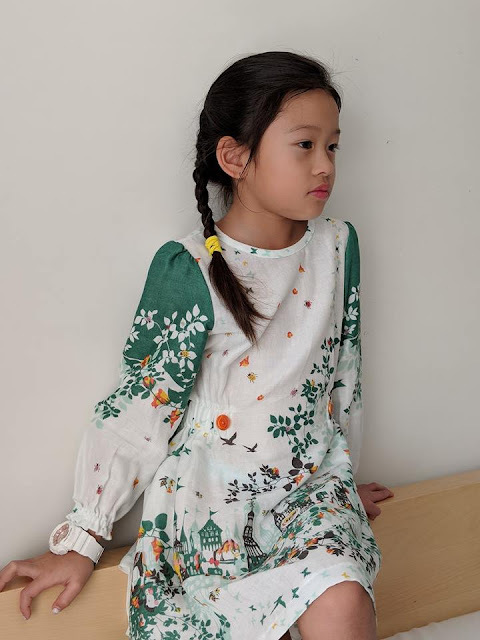 Jenya from While she was sleeping made a Finch dress in a Birch knit. See more at While she was sleeping and @jenyathommo. 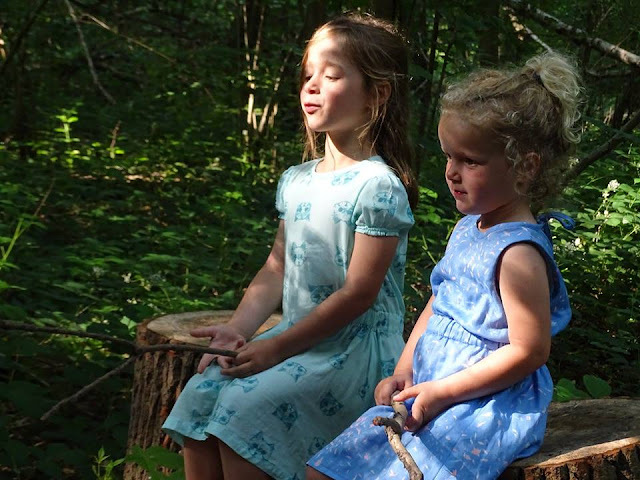 Barbara made two Finch dresses for her daughters. Aren't they the sweetest! See more @made_for_inka. 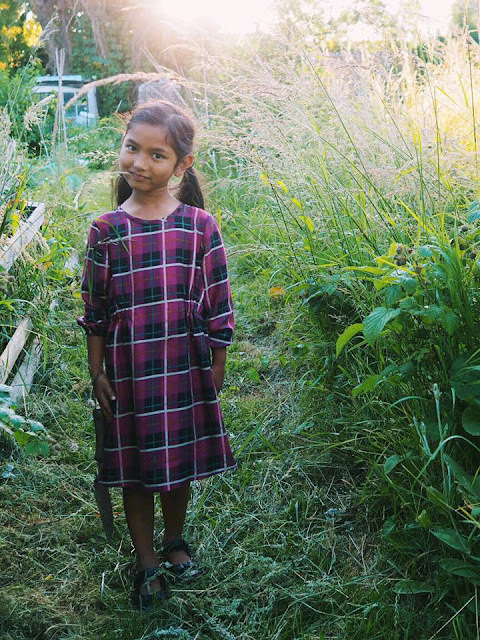 Bridget made two pretty floral cotton lawn Finch dresses. 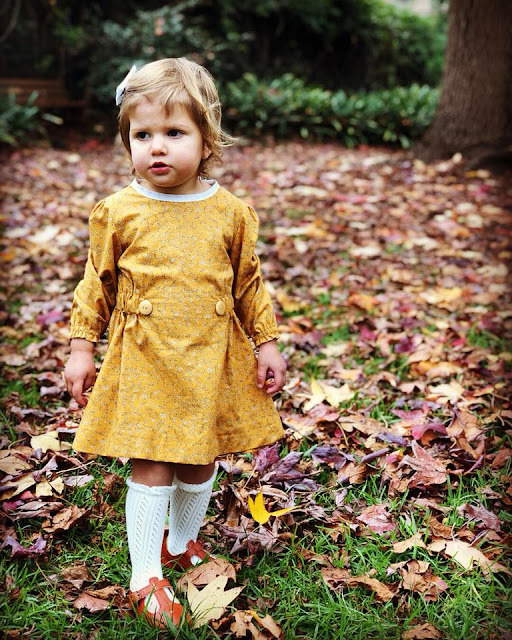 See more @bridgetmurphyhandmade. Britt made this sweet grey dress for her little girl. See more @ittepetite. Atia made a pretty wintery Finch dress. See more @thebrightblooms. Beth is a school friend from way back! She made this pretty Finch dress for her daughter. 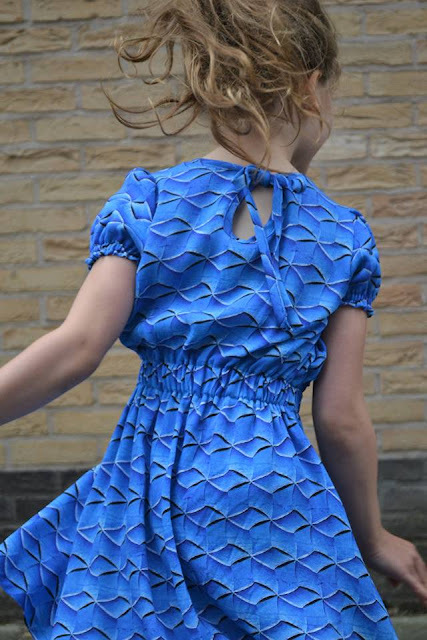 An amazing blue Finch dress made by Evelien. So pretty! See more @evelienanne. Two amazing dresses from Kristie! 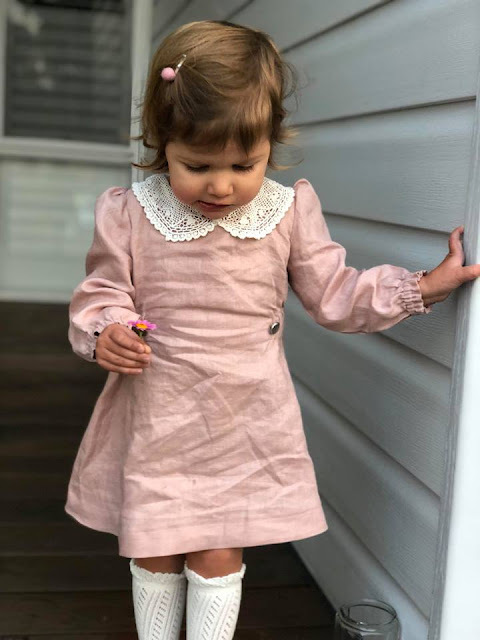 She added a sweet lace collar to her second dress. See more @thesewcraftybaker. 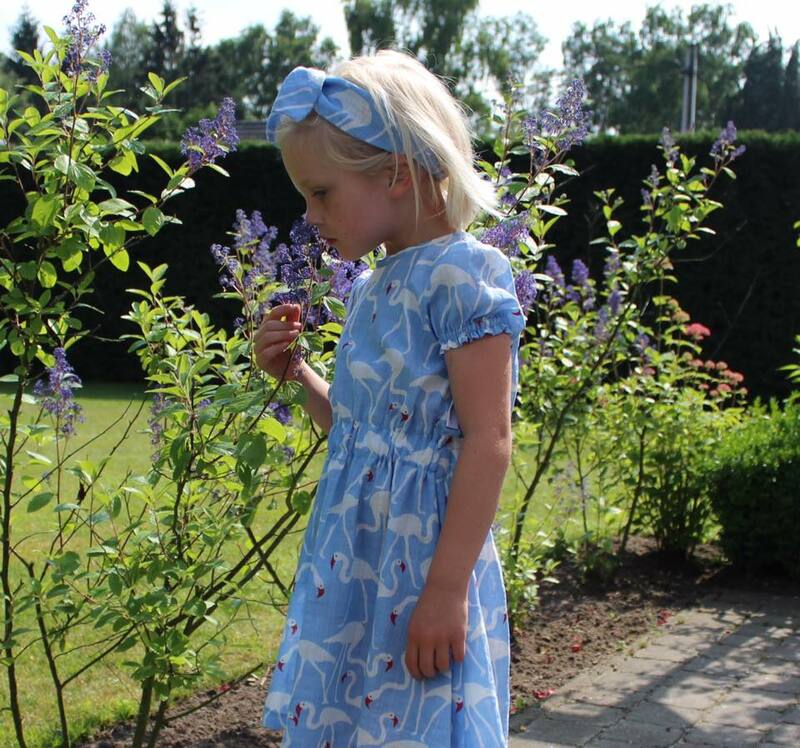 Noortje made a pretty and delicate Finch dress which is so lovely! See more @noortjesnels. 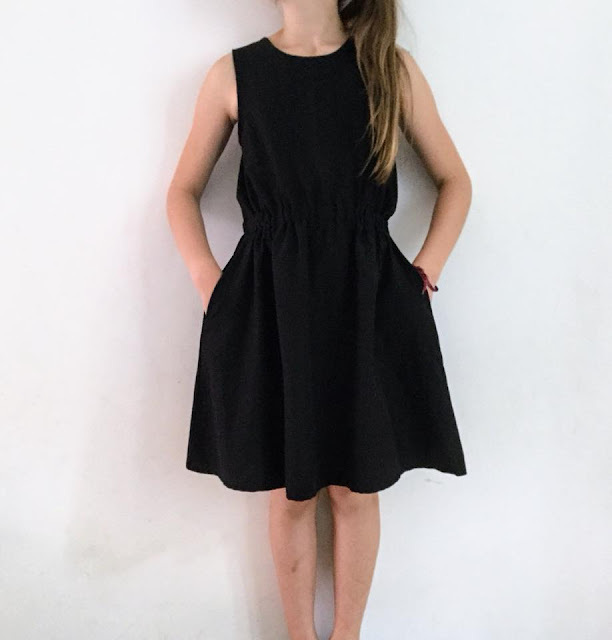 Little black dress by Sofie! 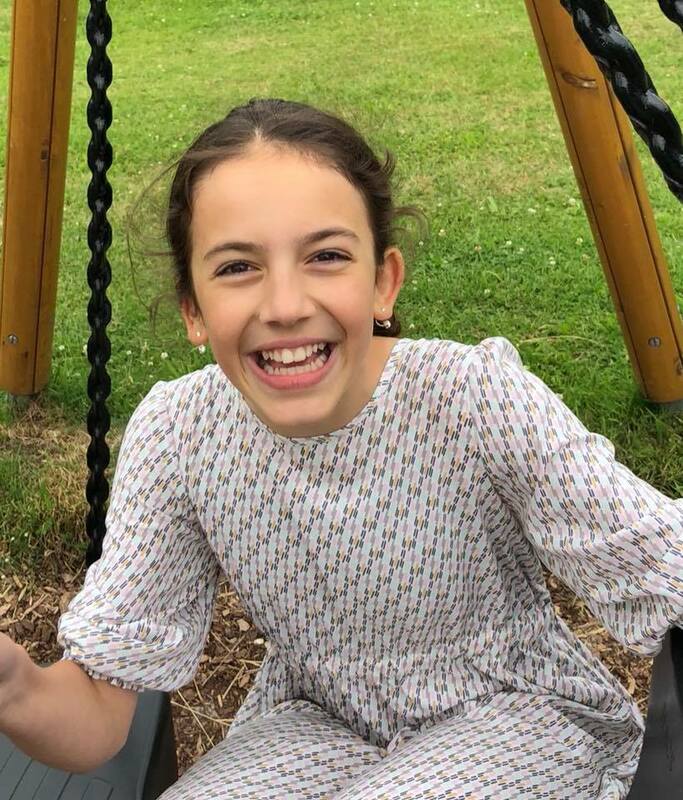 Lovely for an older girl. 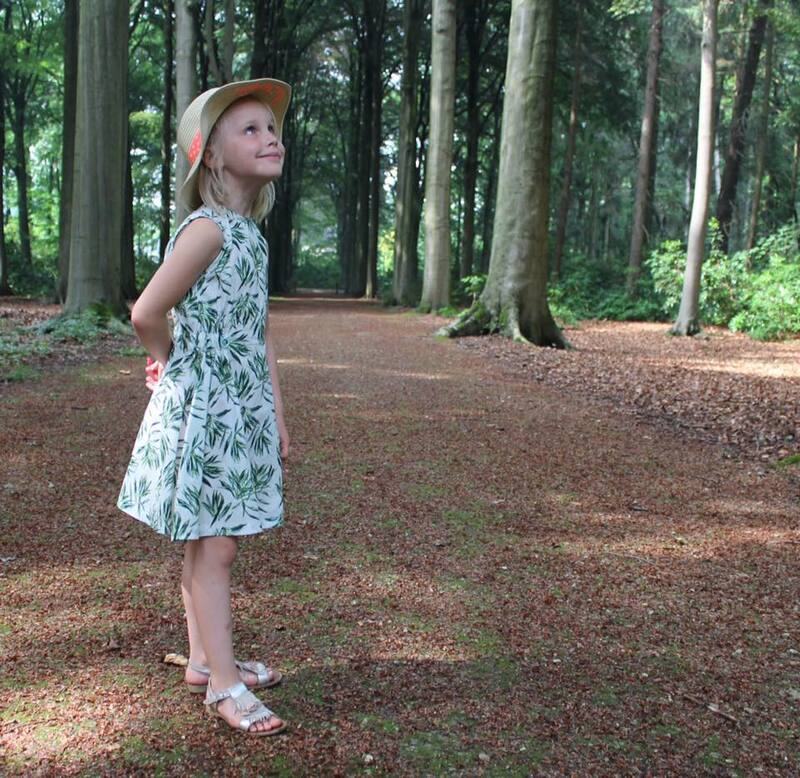 See more @zijkant.sofie. 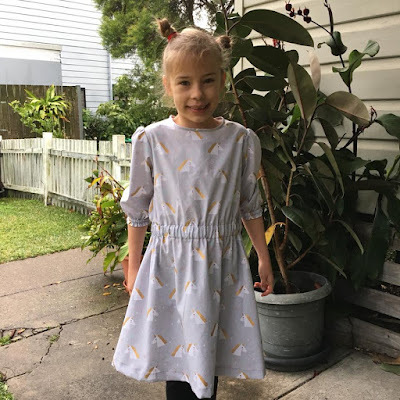 Fellow Aussie Thao made this pretty Finch dress for her daughter. See more at @littlecumquat. 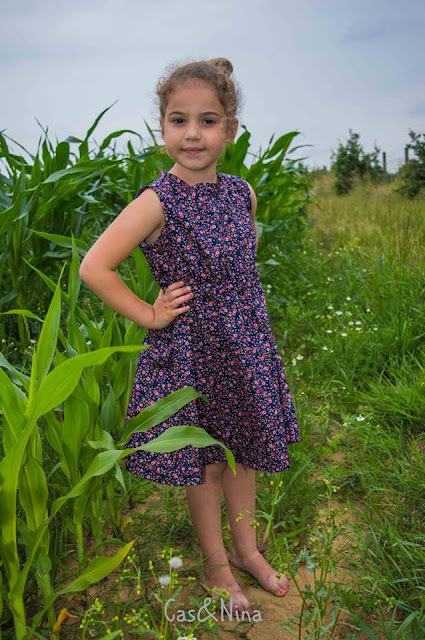 Deborah made two pretty floral Finch dresses. I love this one most. See more at Casennina. Fanny made two gorgeous Finch dresses and this was the first of the tester photos - lovely! 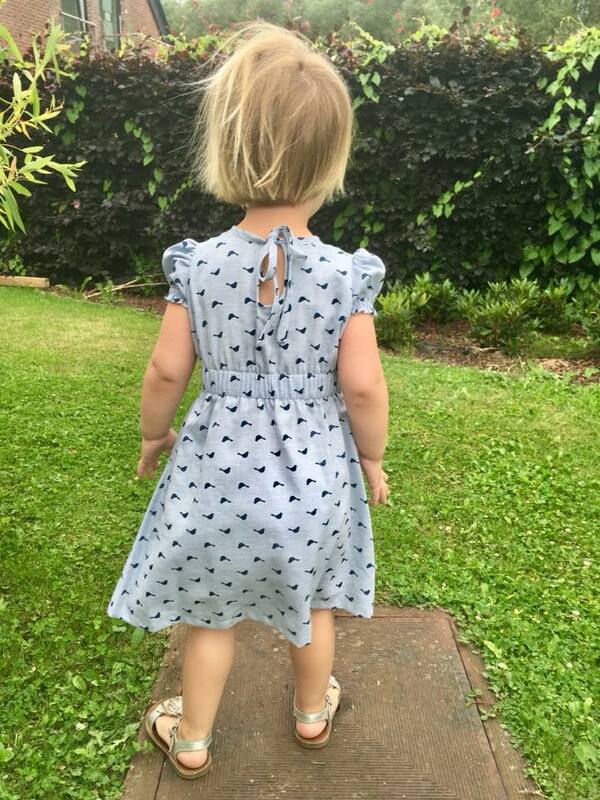 Her pretty blue dress is equally beautiful! See more @fratsels. 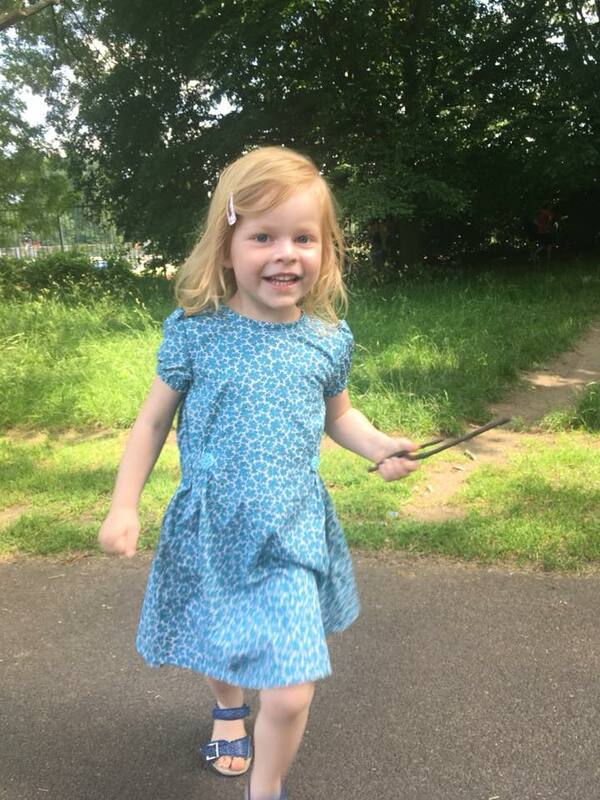 Marjolein's blue dress is just beautiful! Her sewing is amazing! See more and spot Lara's fabulous shoes at @flaflinko. Marie-Paule's dress is simply stunning. 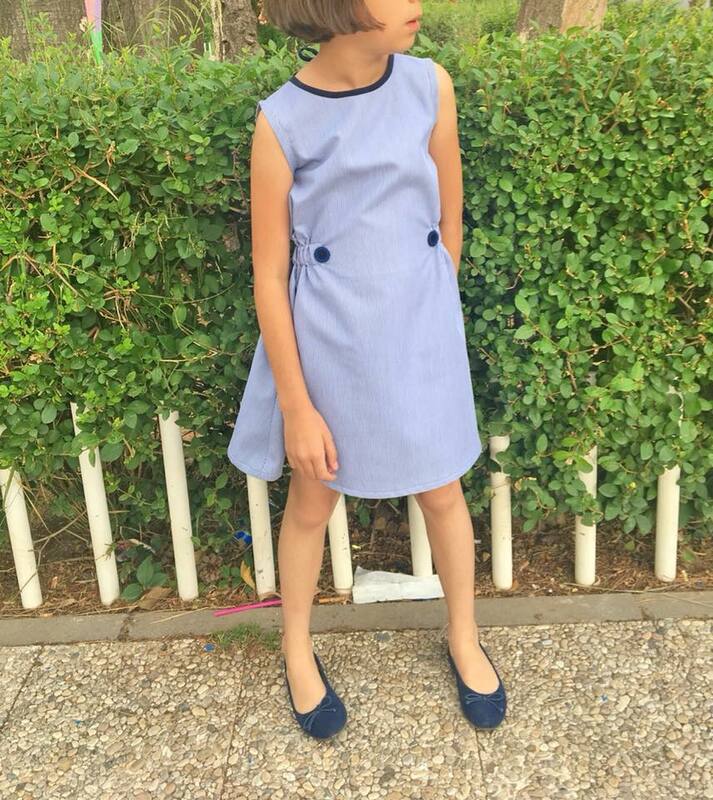 See more at So Popo Sew and @mariepaule_gyselen. I love the 1960's feel of Maria's smart blue Finch dress. See more and check out the amazing back of this dress at @a_ratitos_perdidos. Lucy made a pretty soft cotton Finch dress. See more @sonnyandscout. Thank you also to Claudia and Kate whose photos do not appear here.